My first visit to Baishizhou was a bit surreal. I had already visited Shenzhen a number of times — the sprawling Chinese city is just 40 kilometres and a border crossing away from my home in Hong Kong. But my previous visits had been spent along the city’s vast boulevards and shopping malls, and in the outdoor barbecue restaurants of Xiangmihu, a low-slung entertainment complex where raucous groups of friends consumed lamb by the kilogram and Tsingtao beer by the case. Baishizhou was different. Walking north from the Holiday Plaza shopping mall and the Windows of the World theme park — which boasts a one-third scale replica of the Eiffel Tower, looming incongruously over a European Bar Street plucked from the centre of Munich — the streets grew narrower and busier, the buildings more densely packed. Stray spaniels skittered away from electric scooters; steam rose from the carts of street vendors hawking sugarcane, skewered meat and sugar-glazed fruit. A young Muslim man with a white skullcap and a wispy moustache stood next to a steaming pot, stretching a thick piece of dough until it broke into a loose skein of noodles. Making my way through a series of dark, busy alleyways, I arrived in a concrete plaza, where a group of women huddled over an open well, washing clothes. Behind them was a video arcade; in front, an assembly of pool tables lit by overhead fluorescent tubes, young men hunched over their cues, cigarettes dangling from their lips, tall bottles of Snow beer resting on the ground. It was a typically busy morning at Chek Lap Kok. Thousands of passengers swarmed beneath the vast sweep of the airport’s white roof, duty free bags in hand, squirming children in tow. The line for Starbucks inched ever longer. Yet a cool tranquility reigned over the terminal. That was especially true inside the first class section inside Cathay Pacific’s Wing lounge, where besuited travellers rested against a Carrara marble bar, gazing out to a row of jets sitting idle on the apron. Beyond that, the mountains of Lantau rose against a grey sky. When the airport first opened, Cathay’s flagship lounge was one of the boldest and most intriguing in the world, with an unapologetically minimalist design by British architect John Pawson – one far removed from the wood panelling and grandfatherly armchairs of most airport lounges. Fifteen years of wear and tear meant it needed an overhaul, and the architecture firm Cathay chose to oversee the redesign was a natural fit: Foster and Partners, the same practice responsible for the airport itself, which opened in 1998. “The airport looks fresher and more modern than many airports built in the last five years,” says Cathay executive Toby Smith, who oversees the airline’s product offerings. What surprised me most was the silence. Here I was, standing on what is normally an eight-lane funnel of angry traffic, and the only sounds I could hear were footsteps and the soft murmur of voices. Free of diesel exhaust, the briny scent of the harbour lingered in the air, and a warm breeze ruffled the nylon shells of tents laid out in tidy rows along the sides of the road. I’ve been away from Hong Kong for six weeks. It seemed like a good time to get away, as the muggy heat of summer dragged on interminably, but two weeks after my departure, a student strike was met with tear gas and suddenly the city was occupied. This wasn’t just Occupy Central, the campaign of civil disobedience that had been promised for a year if Beijing and the local government failed to institute reforms that would allow free elections for Chief Executive in 2017. That campaign had become more of a bogeyman than anything else, a cudgel wielded by autocratic, unaccountable leaders whose box of governance tools consists of fear and intimidation and little else. I had doubts it would even happen. Instead, a much larger and more unwieldy phenomenon occurred: students and their supporters erected barricades in Admiralty, Causeway Bay and Mongkok, effectively wresting control of these important neighbourhoods from the government and placing them in the hands of a loosely affiliated band of citizens. If you’ve been following the news, you know what happened next: a remarkably peaceful occupation was later attacked by bands of organized thugs, who beat protesters and destroyed their shelters as police shamefully stood by. 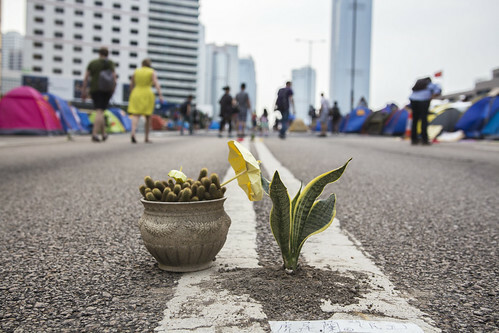 The next day, protesters rebuilt their encampments and carried on. Each time the occupation seems to be waning, something comes along to jolt it back to life, be it triad attacks, police bullying or the spectacularly tone-deaf leadership of Chief Executive CY Leung, a Beijing puppet who recently told international media that Hong Kong can’t have real democracy because it would give too much power to the city’s many poor people. Of course, the picture is more complicated than that. Asia might be underrepresented in some ways, but it has certainly not been ignored. Korea, under the curatorship of Minsuk Cho, won the Golden Lion for best national exhibition, with a thoughtful examination of modernism on both sides of the 38th parallel – and how North and South resemble each other more than one might think. 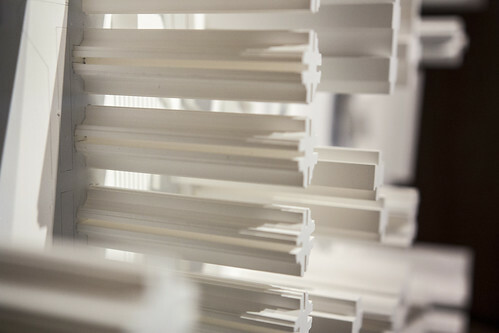 That followed Japan’s award for best pavilion in the 2012 biennale, for an exhibition curated by Toyo Ito that documented reconstruction efforts after the Tohoku earthquake and tsunami in 2011. This latest edition of the biennale, which opened in early July and runs until November 22, is the most anticipated in years. Iconoclastic architect Rem Koolhaas agreed to curate the show on the condition that he be given two years to prepare, instead of the usual six months, and he vowed to shift the focus away from individual “starchitects” to the fundamentals of architecture. 65 countries are participating and there are dozens of satellite exhibitions and other events, including film screenings and dance performances. Soaring above the city on a bike: you can’t deny it would be a cool way to get around. One of the greatest pleasures of urban transport is being the passenger in a car travelling along an elevated highway — being immersed in the city yet removed from it, revealing a perspective inaccessible to you as a pedestrian. Why should drivers get all the fun, especially when their cars are so destructive to the environmental and social fabric of the city? That’s apparently a question Norman Foster has been asking himself. Late last year, the British architect proposed a network of elevated bicycle highways that would run above London’s railroad tracks, giving cyclists the kind of speedy right-of-way that motorists have enjoyed for so long. 220 kilometres of elevated bike routes would thread through the city, accessible from 200 locations. Like expressways, these would facilitate long-distance rather than local travel; the idea is to make cycling to work a quick and comfortable alternative to cars and trains. Though it is not the first time an architect has proposed a network of elevated bike paths, the idea has proven controversial. It’s not only because of SkyCycle’s expense — a 6.5-kilometre trial section would cost £220 million — but because of its ideological implications. There is something decidedly old-fashioned about grade-separated solutions to transport problems. Footbridges, pedestrian tunnels, elevated highways: these are the future of the past. We live in an era when highways are being dismantled and replaced by urban boulevards; “complete streets” is the rallying call of today’s progressive planners. This is the final installment in a three-part series on preservation and urban transformation in Beijing’s hutongs. 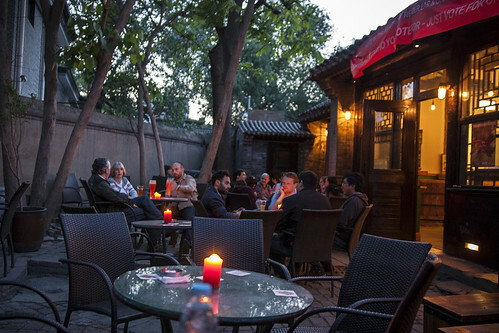 Half a kilometre from Tiananmen Square, an unexpected aroma wafts through the Beijing hutongs: fresh-roasted coffee. The source of that smell is just as surprising. Housed in a two-storey structure that was at various times a government-run printing house and a public bath, Soloist Coffee opened in September, part of a new wave of design-led businesses that have opened in Dashilar, one of Beijing’s oldest yet most overlooked neighbourhoods. “The interior is a tribute back to the industrial age and craftsmen era,” says the coffee shop’s owner, designer and barista, Ma Kaimin, who sourced wood furniture from around the world to create a space that resembles a cross between a factory studio and an old-fashioned schoolhouse, with exposed brick walls, terrazzo flooring and vintage glass light fixtures. The coffee is just as thoughtful, with robust, acidic house blend that Ma describes as having a “nutty hint of orange and aromatic herbs” – a rare feat in a city without much of a coffee culture. This might sound like the preamble to a familiar story of gentrification: old neighbourhood falls on hard times, attracts forward-thinking entrepreneurs, only to become a high-rent destination that destroys much of the original charm. But Dashilar’s transformation could well prove to be different, part of a deliberate effort by Beijing designers to revitalise the area in a sensitive way. If it succeeds, it would be a remarkable achievement in a city with a poor track record when it comes to preserving its old neighbourhoods. It’s not easy to find the Mango King. “Do you want to go the safe way? Or the quick way?” asks Michael Leung, a designer and urban farming advocate, as we walk past the wholesale fruit market in Hong Kong’s Yau Ma Tei district, halfway up the Kowloon Peninsula. We opt for the quick way, which takes us through a tangled web of highway off-ramps and access roads. Two decades ago, this area was open water, but land reclamation and infrastructure works have turned it into an uninviting no-man’s-land next to one of Hong Kong’s most crowded neighborhoods. Somewhere in this mess of traffic is a leftover parcel of land that has been turned into an illegal farm. Hong Kong is one of the world’s most densely populated cities, famous for its skyscraper canyons and gritty, neon-lit streets. But most of its 1,100-square-kilometre territory is actually undeveloped — country parks alone account for more than half of the city’s land area. Instead of fostering a close connection between city-dwellers and nature, though, the opposite has happened: Hong Kong today is a city largely devoid of greenery, surrounded by an often spectacular procession of green mountains and craggy shorelines. The city’s disconnect with nature has broad implications. In the early 1990s, a full third of Hong Kong’s fruits and vegetables were produced locally in the New Territories, the hinterland that stretches from urban Kowloon to the border with mainland China. Today, that number has plummeted to 2.3 percent, with nearly everything imported from mainland China and beyond: apples from the United States, kiwis from Italy, oranges from South Africa. 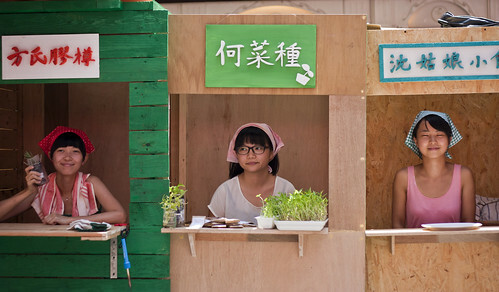 Recent years have seen a resurgence of interest in local organic agriculture among young people born in the 1980s and 90s, but with a steady supply of cheap, imported produce arriving daily in Hong Kong’s port, changing the attitudes of the broader populace has been a struggle. When I arrived in Beijing on the third day of the Chinese New Year, I was expecting the city to be quiet, and it was, except on Nanluoguxiang, a long alleyway near the Drum and Bell Towers that is lined by small shops, cafés and restaurants. 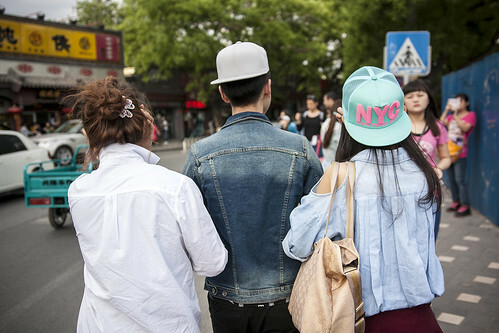 Nanluoguxiang was busy — swarming with people, in fact. On my previous two trips to Beijing, in 2009 and 2010, it hadn’t been nearly as crowded. I chalked it up to the holiday. When I returned to Beijing last month, though, I found Nanluoguxiang just as busy. Not only that, but many of the independent shops I remembered from my first visits were gone, replaced by chain bubble tea outlets and souvenir stores. Dozens of hawkers had set up camp along the street, most of them selling useless tchotchkes with blinking LED lights. It is still a charming street, but it has clearly made a leap from eccentricity to mass-market tourism. There’s even a Starbucks. 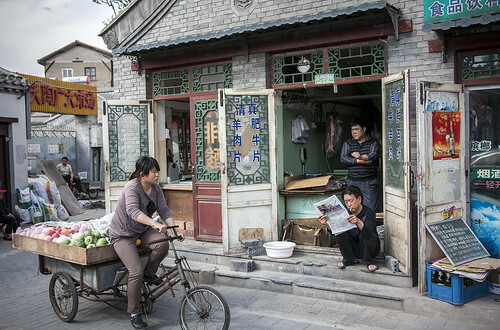 In some ways, it’s hard to begrudge Nanluoguxiang’s success when the alternative is demolition and redevelopment, which has been the case for so many other Beijing hutongs. In China, the normal process of gentrification is thrown out of whack by the sheer scale of everything: you can either go upmarket, which means really upmarket — Maserati dealers and that sort of thing — or mass market, which means an unceasing crush of weekend tourists and trinket vendors. The period of being a pleasantly polished enclave, which lasts for years or even decades in the life-cycle of North American and European neighbourhoods, is astoundingly short in Beijing. Two weeks ago, as Hong Kong was swept under the tide of bacchanalia known as Art Week — basically a non-stop stream of parties and other well-lubricated events revolving around Art Basel Hong Kong — something remarkable happened to the city’s tallest building. Normally, the 484-metre-tall International Commerce Centre is illuminated by an unceasingly kitschy programme of LED animations, including (I kid you not) a cloud shaped like a teddy bear. But on a hot and very humid Thursday evening, the LED display suddenly began pulsating, as if representing the rhythm of the city’s heartbeat. It’s the third day of the Chinese New Year and Beijing is taking a break. Traffic has unjammed itself, department stores are shuttered and bursts of fireworks cut through the cold, dry air. As my taxi passes over the Second Ring Road, the streets are quiet until the Gulou comes into view. It’s an imposing, 727-year-old tower with vermillion walls and sweeping rooflines. Originally built to house a collection of drums, it now serves mainly as a riposte to the concrete tower blocks that have come to dominate much of Beijing. This neighbourhood is different, consisting of low-slung, grey-walled courtyard houses arranged along alleyways known as hutongs. I climb out of the taxi and cross the street, plunging myself into a crowd of hawkers selling sugar-glazed fruits and barbecued eggplant. Families pass by, gawking at quirky designer t-shirts hanging in shop windows; a cyclist rings his bell as he negotiates around a group of friends. 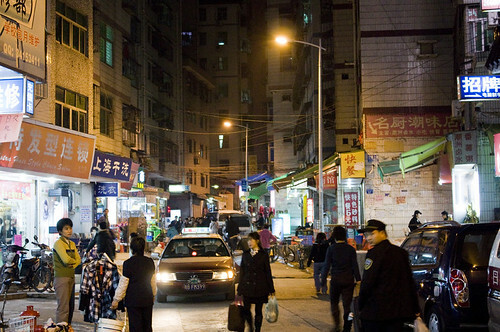 I am standing on Nanluoguxiang, a narrow row of shops and cafés that cuts through some of Beijing’s oldest hutongs. On this otherwise quiet February night, it seems like the whole city has come here to shop, snack and stroll. “When you walk through the hutongs, it’s a nice atmosphere, an interesting mix of tourists and Beijing people who have been living there since childhood,” says Michel Sutyadi, a German-Chinese designer who runs NLGX, a lifestyle brand inspired by Nanluoguxiang. Beijing might be the capital of the world’s most populous nation, a sprawling city of 20 million with a centuries-long history, known to the rest of the world for its vastness, off-the-charts smog and the blow-out bash that was the 2008 Olympics. Look past the vastness of the Forbidden City and the traffic-choked ring roads, however, and you’ll find the surprising truth about this northern capital: Beijing is a disarmingly down-to-earth place, where imposing boulevards give way to back streets filled with bicycle peddlers, ancient courtyard houses and endless small discoveries. The building started shaking at 2:46pm. Books tumbled off shelves, magazine racks teetered and ceiling panels swayed violently back and forth like a drunk trying to reclaim his balance. This was the scene in a YouTube video recorded the seventh floor of the Sendai Mediatheque on March 11, when an extraordinarily powerful earthquake shook the Tohoku region of Japan. But the Mediatheque’s architect, Toyo Ito, is no ordinary modernist. While the the winner of the 2013 Pritzker Architecture Prize shares the heroic vocabulary of Le Corbusier and Mies van der Rohe, he is using that architectural language to very different ends, and the Sendai Mediatheque, which was completed in 2001, is a prime example of his more humanist philosophy. I can still remember the ssiat hotteok in Busan: moist, thick pancakes stuffed with brown sugar, pumpkin seeds and sesame seeds, as if a French crêpe had voyaged to America, eaten too many Krispy Kremes and stumbled head-first into a Korean dry goods shop. It was the perfect salve for the early winter chill. 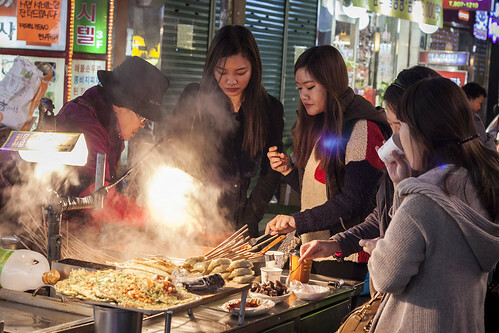 In Seomyeon, a busy shopping and nightlife hub that is the closest thing Busan has to a centre, there were two hotteok stalls on the street behind a large department store. One had a perpetual line of customers, evidently because it had been featured in magazines and on TV — there was a small screen fixed to the side of the stall playing clips of food show hosts eagerly snacking on the pancake. Immediately adjacent was another stall, which never seemed to have any customers. I first tried the popular one and then, feeling sorry for the competitor, I returned the next day to try it out, too. I’m sorry to say, there was a reason for the lines. As much as I want to support the underdog, its hotteok was just not up to stuff. Not bad, just underwhelming — somehow less plump and flavoursome as the stall next door. In a way, that’s kind of how I felt about Busan. Maybe it was the time of year — early winter, when the sun sets early and everyone is shell-shocked by the first signs of chill — or maybe it was just the contrast to Seoul, which is such a huge and dynamic city it makes everywhere else in Korea seem shoddy and sleepy. It doesn’t help that Busan is a nebulous sprawl that flows along shorelines and in mountain valleys, never acquiring enough mass in any one place to feel as big as its size should allow. More than 3.5 million people live in Busan, but they are spread out across 767 square kilometres, a slightly larger area than Seoul’s 10 million people. Busan is nevertheless a very likable city. It is much less formal and inhibited than Seoul, and one of the ways this manifests itself is in its street life. Much of the city is low-slung and quiet, but the busy parts are filled with street vendors selling hotteok and much, much more: egg pudding, spicy rice cake, fresh fruit, or best of all, outdoor restaurants run by middle-aged women with permed hair, who gruffly serve you soup and bowls of rice. 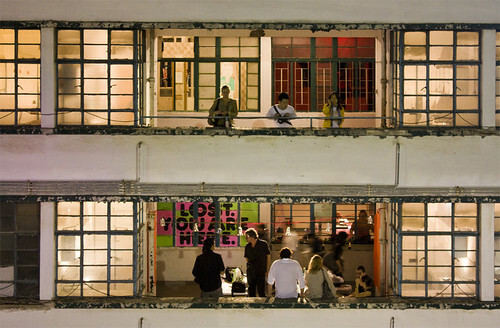 Hong Kong’s design scene is thriving, but like many of this city’s creative endeavours, it exists beyond the spotlight, in old factory buildings and back alley studios. That could soon change. After two years of renovations, the former Police Married Quarters on Aberdeen Street has been reborn as PMQ, a design hub that aims to raise the public profile of local design by giving designers more opportunities to build their own brands. Built in 1951 to house police officers and their families, the PMQ now contains 130 design studios, along with shops, restaurants, a library, exhibition space, a rooftop garden and outdoor gathering areas. When it is fully open next month, it will contain a mixture of well-known brands like Vivienne Tam alongside up-and-comers such as Hoiming, a leatherworking studio. Studio spaces are small — about 450 square feet — but To says the goal is to foster a community, not to create an office complex. Spacious open-air corridors in front of each unit will be used for exhibitions and pop-up events; there will be a co-working space and units for overseas designers-in-residence; and tenants must keep their doors open to the public between 1pm and 8pm every day.